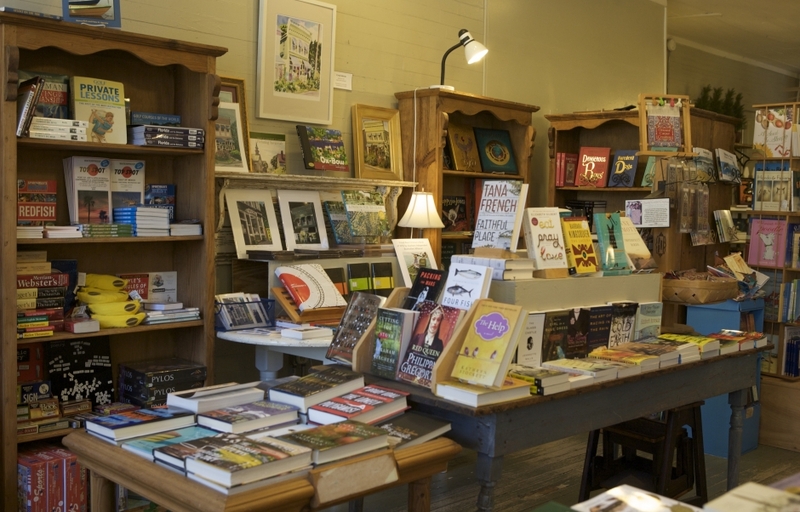 Make Downtown Books your first stop for beach novels, children’s books, field guides, and regional cookbooks and garden books. If it’s rainy, we have jigsaw puzzles, crosswords, Sudoku, and board games. We specialize in books about the area, including Island Light, Florida’s Living Beaches, Apalachicola Diary, Outposts on the Gulf, At the Water’s Edge, The Seasons of Apalachicola Bay, Sport Fish of the Gulf of Mexico, and The Oyster King: The Man Who Bought Saint George Island, and we carry regional magazines like The Oxford American, Garden & Gun, and The Apalachee Review. We feature hand-woven baskets made on St. George Island by Dee Grinenko, CDs by local musicians like the Ned Devines and Sammy Tedder, and (of course) our signature candle, “Downtown Books Tomato Leaf”, made exclusively for us by Soyphisticated Candles.